There is a measure of anxiety, in this era of globalization that traditional cultures, like the nomadic groups of Iran, are endangered, and will soon be ‘lost’. This anxiety, though understandable, fails to recognise how vibrant and adaptable such cultures are. When I visited the nomads of Iran, I saw that these people had adapted their traditional lifestyles to fit the demands and conditions of contemporary urban society. Animals had in some cases been replaced by trucks, woven saddle bags had given way to sewn together pieces of fabric, crops were being cultivated in rented plots, and children were attending schools in towns and cities. At the same time, these innovations were often carried out in tandem with traditional cultural expression of the nomads – the daily walk with the herd to higher land, the spinning of wool and weaving of kilims and carpets, the long peaceful afternoons spent in the tent, spinning wool, chatting and smoking. 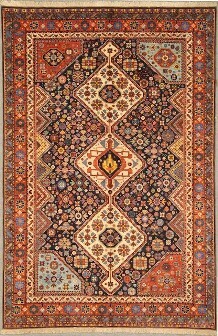 For the past few decades, nomads have had less access to natural plants from which to make vegetable dyes, so merchants have tended to buy natural dyes from the market to give to nomads who have settled in houses in the villages so that they can weave specifically ordered carpets. Nomadic women now weave as contractors, and their products are for sale rather than for their own use. They still carry their own traditional designs, though these are sometimes varied according to merchants’ specifications. Merchants like Zolanvari asked the nomads to create landscape designs featuring animal figures, which were woven with vibrantly coloured vegetable dyed wool to achieve a bold and modern effect. 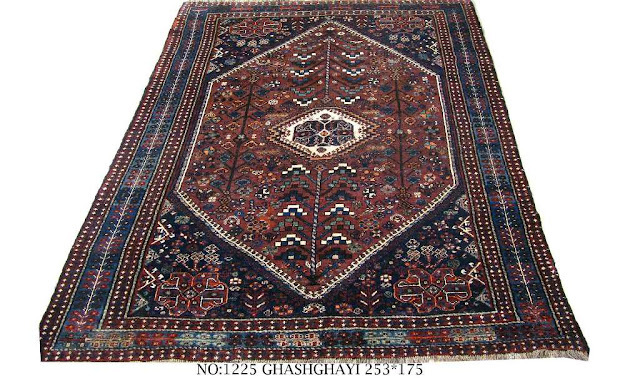 These rugs became known as Gabbeh rugs, and quickly became very popular in the western market. 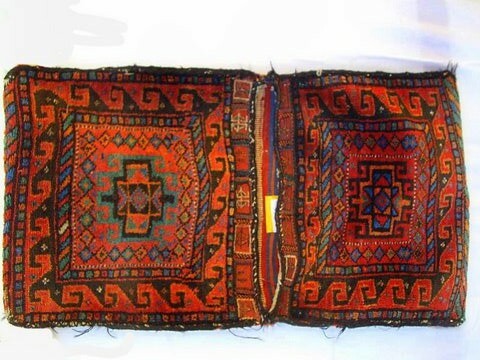 In pre-settlement nomadic cultures, Gabbeh rugs were entirely functional, being produced for use as mattresses. They were made with uncoloured wool and they had very coarse knots, unshaved pile, and minimal designs. 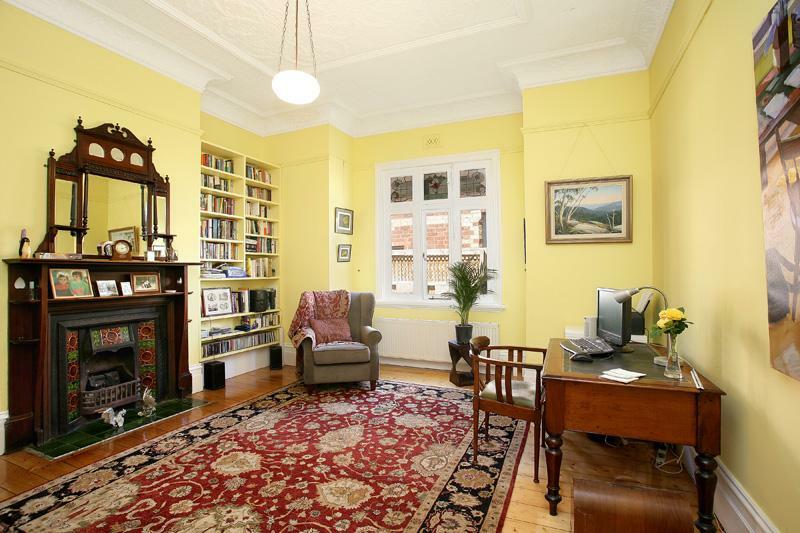 Today those rugs are made predominantly for use in western homes as decorative works of art and floor coverings. 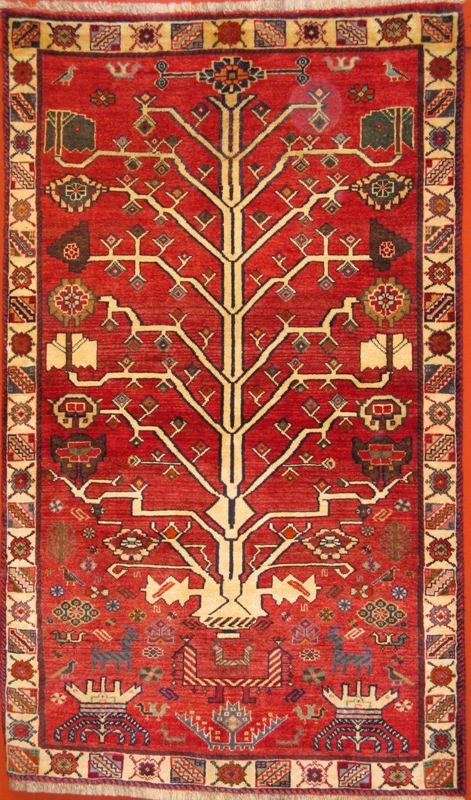 The role of the merchants in retaining the traditional method of dyeing has been very helpful for the Iranian carpet industry. It has compelled other weaving countries to adopt the same method, and has resulted in the continued production of carpets of tribal and traditional designs, made with natural dyes and hand-spun wool. The woman who I will call ‘Sadat khanoom’ (which means a woman deserving of great respect) is a refugee from Afghanistan who has made a life for herself and her family amongst the Turkish-speaking Qashqai people near Shiraz. She wears less traditional clothing than the Qashqai women around her, and the method she uses for spinning wool differs slightly from theirs. Her spinning ball is more spherical, and she doesn’t have a stick protruding from it. In Sadat khanoom, Afghani culture and textile techniques negotiate with Persian nomadic surroundings. This combination of tradition and adaptation was something I encountered again and again in my time with the nomads. The twelve-year-old boy, Shahin, leans on his bike, holding a stick on his back. His job is to care for the livestock as they roam the area looking for pasture. He goes with them to higher ground in the morning and brings them back before nightfall. It is a responsibility he shoulders easily, with maturity beyond his years, though this is tempered by a child’s readiness to laugh. He already has developed a sense of gender roles in the nomadic lifestyle – when I asked him if he was involved with carpet making he dismissed the suggestion with the answer that such work was women’s work, and was the domain of his sister. He told me of the effect of the drought on his daily routine; mentioning that the livestock must make increasingly lengthy journeys up the mountain to find green fodder. The Children of the Ghermezi family of the Qashqai tribe are on their way to the nearest Cheshmeh (stream) to wash dishes, which are left dirty from the funeral ceremony of a family member. Now, cars are used for journeying, as the traditional means of horses and camels have given way to this more convenient mode of transport. For these children, the idea of traveling with horses and camels has become the stuff of stories from the past. This group stays fifty kilometers outside of Shiraz for their Ye-laagh (summer camping). Hussein (the boy holding grapes) offered me his share of fruit while he was on the back of the Ute waiting for his uncle to drive him and others to the stream. Under the shade of the trees next to the tent, Fatimeh and her younger sister are weaving a colorful kilim. There are only two months left of their summer camp, and they are trying to finish it so they can take it down from the loom before the migration to warmer areas for the winter. Fatimeh has spun and dyed the wool, which was gathered from the spring shearing. She told me that now most dyes are purchased from the bazaar, because of lack of availability of natural dyes from the fields. Madder and Jasheer (a fennel-like plant) are rarely seen in the mountains these days. Fatimeh is creating the design as she weaves it, and her younger sister is sitting on the other side of the loom mirroring her sister’s work. Driving on the edge of a dried lake, we approached a group of black tents and saw a group of Khamseh nomads (Arabic speaking nomads in Fars) farming for their winter needs on rented land. Sunflowers are in full bloom at the edge of the farm, and green beans to be sent to market, are being picked by members of the Khamseh family. The money raised from them will fund the winter migration. Here, non-traditional modes of production, such as the cultivation of crops, are being incorporated into the nomadic lifestyle. This is another example of the adaptability and flexibility of these cultures. The women seemed to relish being photographed, while the men were less pleased by our presence. Nine-year-old Yasaman came to live in the city when she was two years old. She does not remember anything from those days before they settled but she has always been told stories about it. Her father now works at building sites and her mother weaves carpets in their front yard. Yasaman spends some time each day during the summer vacation learning weaving from her grandmother, and she loves visiting relatives who still live in tents in the mountains. Yet she also enjoys being in the city and going to school. Her sister Maryam who is thirteen loves weaving carpets and wants to weave her own design one day. Maryam remembers her nomadic life more clearly than does Yasaman, and claims she would have been happy in either way of life. Maman bozorg (their grand mother) is unhappy in the city and worries about the young boys who are torn between two lifestyles; she is anxious about them getting involved in drugs and crime. She is happy that the girls are staying at home and weaving carpets in their leisure time. The women seem to maintain links with their nomadic lifestyle even in the city, through their clothing and carpet weaving, but the boys have no connection with nomadic lifestyles while they live in the city. Spinning wool is an afternoon activity for the nomadic women. Almost every woman is sitting in the black tent, leaning against their bedding bags and chatting away with other women while they all are spinning wool. Smoking Gheiloon (hubble bubble) also happens in the relaxed afternoon atmosphere. Qashqai sisters spinning wool at their afternoon tea time. The girls carrying goods to the tent on donkeys are wearing Western style clothes and hats, which have replaced their colorful traditional dress, and instead of hand-made khorjeens (saddle-bags) they have sewn up fabrics to use as saddlebags for horses. They live in Shiraz during the school term and only come to the tents for the summer. For them sewing up fabric takes far less time than weaving a khorjeen, which can take months to complete. ‘We have no time to make one, this bag does the same job anyway’ one told me. It is sad to see that cloth bags are used as saddle bags today. Forgotten art. A proper saddle bag. I found a beautiful documentary on Qashqai tribe done by David Attenborough from 1975 and I thought I maybe interested to find it on you-tube and watch it. Please write a comment after viewing it and let me know what you think about it.